Leslie Moonves sexual assault accuser Phyllis Golden-Gottlieb appeared on “GMA” this morning with attorney Gloria Allred to speak about the now-former CBS CEO’s Sunday ousting. “Of course he did, he took my whole career,” she told “Good Morning America” anchor George Stephanopoulos. Golden-Gottlieb also explained why she hadn’t gone to the LAPD with her story until last year when the alleged assault took place 40 years ago. It is now too late for either criminal charges or a civil lawsuit to be filed. Moonves’ exit from CBS comes two months after Farrow’s first bombshell report, in which six women accused the longtime media mogul of sexual harassment. 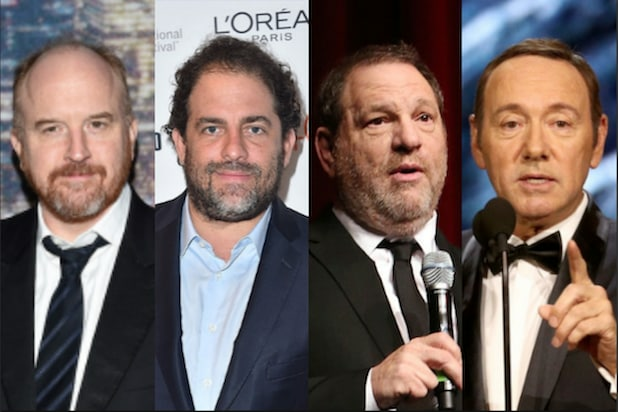 On Sunday, a new report from Farrow in The New Yorker outlined accusations of sexual assault and harassment from six additional women. Two investigations into the accusations are still underway, and any potential Moonves severance pay is pending the results. COO Joe Ianniello will take on Moonves’ chief executive role on an interim basis. Moonves joined CBS Corporation from Warner Bros. in 1995, when he was named president of CBS Entertainment. He became chairman in 2003 and was named CEO in 2006, following the split of CBS and Viacom.